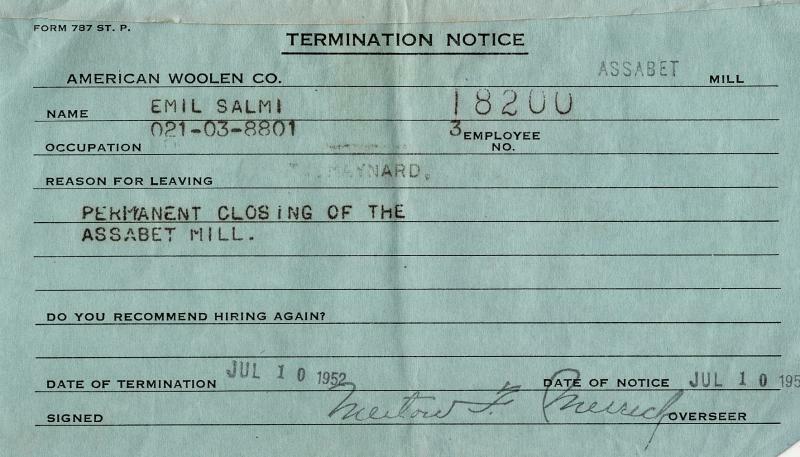 A termination notice for Emil Salmi from the American Woolen Co. dated July 10,1952, due to permanent closing of the Assabet Mill. 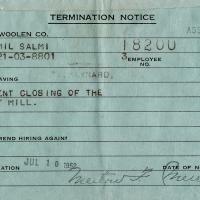 “American Woolen Co. Termination Notice - 1952,” Maynard Historical Society Archives, accessed April 24, 2019, http://collection.maynardhistory.org/items/show/6277.